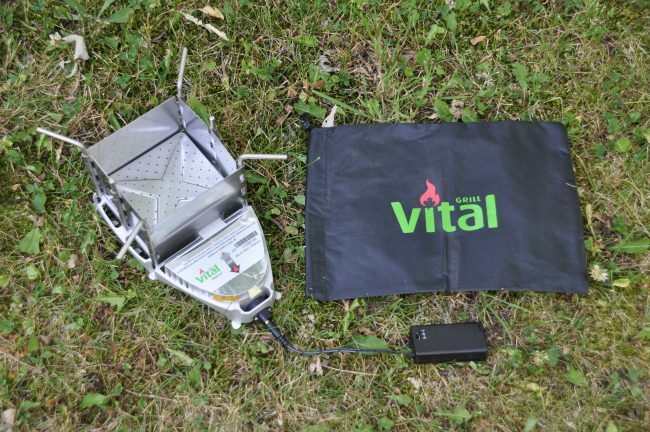 A useful product for camping, the outdoors and emergencies is the VitalGrill Camp Stove. Made in Canada this portable cookstove weighs only 1.6 pounds and packs down to only 8” x 5” x 1.75”. This small stove is fuelled with leaves and twigs and can generate considerable heat due to its built-in fan which “blows air from below the fire basin to accelerate combustion.” The fan can operate for up to 40 hours using two AA batteries. The portable stove also features an airflow regulator which can adjust the flames. Another nice feature is the “wind baffle” which helps to focus the heat. The stove’s six-legged base is made of “strong, lightweight aluminum”. According to the Lee Valley website, the stove’s pot stand adjusts to support pots of various sizes (50 lb capacity). 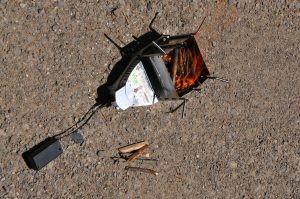 We easily started this camp stove with surprisingly little fuel (some small twigs) and it produced a surprising amount of heat! 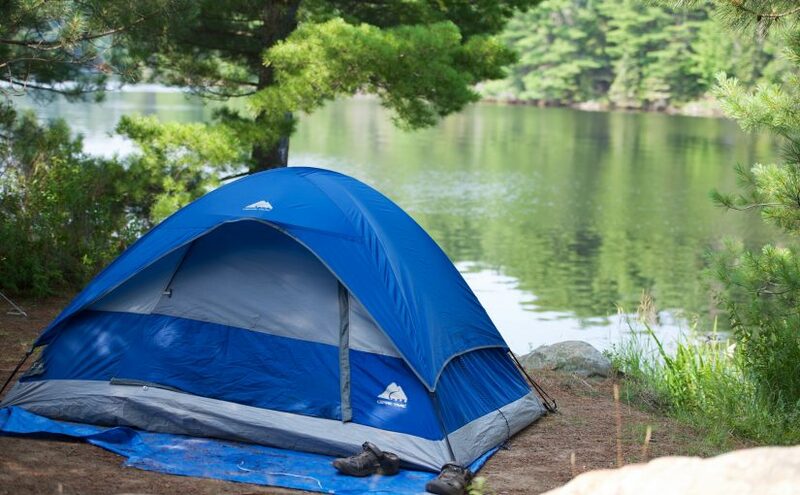 This impressive little stove is useful for camping and other outdoor adventures such as canoeing and backpacking. We could have used it with last spring’s ice storm that knocked out our hydro for several days. Comes with a bag.